VAC Innovation Ltd supports the composite and glass laminating industries with a range of vacuum bagging process materials all developed to provide a technical solution at a highly competitive price. For further information relating to any of the VAC Innovation range of vacuum bagging consumables or ancillary products, and to find out how they may be a benefit to your manufacturing process, please do not hesitate to contact us. VAC Innovation has a reputation for superior quality of products and service. This has established its position as the preferred supplier of vacuum bagging process materials to many diverse companies within the composite industry. Established in 2005, VAC Innovation successfully supports the composite and glass-laminating industries with its own, full range of vacuum bagging process materials (vacuum bagging consumables and vacuum equipment), all developed to provide a technical solution at a competitive price. VAC Innovation has a reputation for superior quality of products and service. This has established its position as the preferred supplier of vacuum bagging process materials to many diverse companies within the composite and glass-laminating industries. 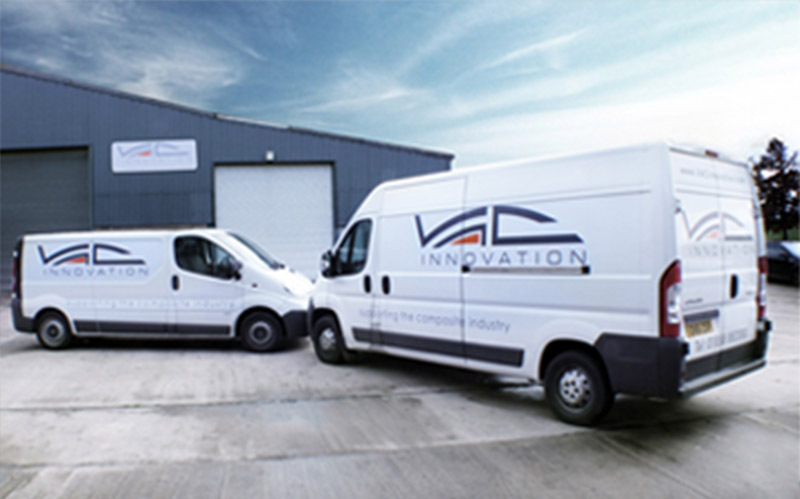 Via its own fleet of vehicles, VAC Innovation offers its own customers both a uniquely managed consignment stock and same-day delivery.